Hi, I'm Erinn! I'm a computer security PhD student, and I have a passion for producing educational content based on the things I learn and teach. I especially love making games, simulators, and interactive displays centred around computer science topics like security, networking, and architecture. My projects are aimed at a variety of audiences, ranging from high schoolers up to people who have already finished computer science degrees. All of my projects are released for free, and any code I write is open source and freely licensed. You don't need to pay anything to use them, but supporting me helps me maintain existing projects and create new ones! I currently have two projects I'm actively working on. Both of them are works in progress, and will get better with your input! Netsim is a web-based game intended to teach high school aged children the basics of network routing and how common attacks are performed against it by hackers. Players work through a series of guided levels starting with crafting simple packets, and work up to spoofing IP addresses, performing denial of service attacks, and intercepting others' data. I have used Netsim to run CS outreach workshops for young women in high school for several years now, and many iterations have gone into it based on all the great feedback we've received. The workshops are always an amazingly positive experience. I've crafted some of my Patreon reward tiers to make running these workshops easy, if you're an educator as well! 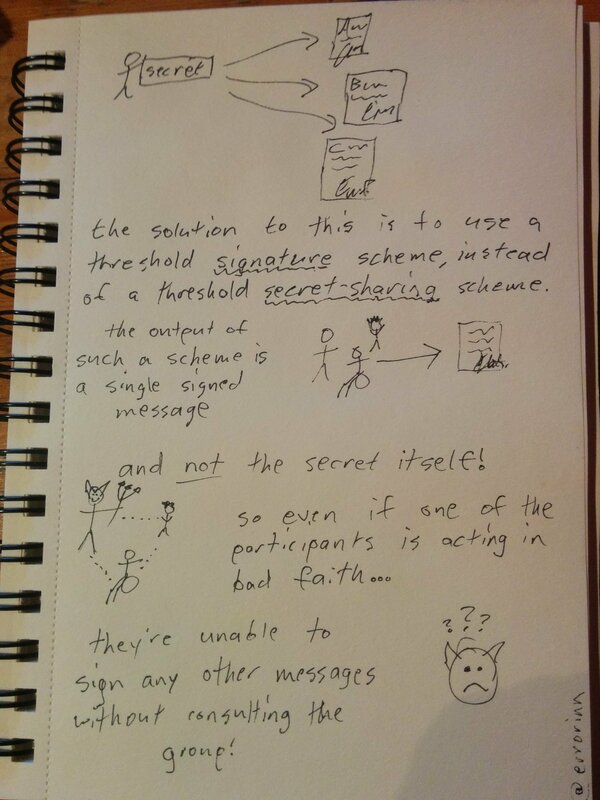 Occasionally I give short seminars introducing people to other security topics, and my stick figure depictions on the board proved quite popular. So, I started trying to translate them into still images in my notebook, and eventually shared a few on Twitter. I'd like to greatly improve the quality of these, using a proper drawing tablet, and cover a broader range of topics. All of these projects already exist in proof-of-concept form, but need some polish before I can release them for people to try out. Patrons get exclusive previews of them before release! We teach most computer science students at some point that computers are really just made up of NAND gates and latches, when you boil it all down. If you understand those two simple little things, you can understand all the rest! This project will be an interactive display that starts small (literally! ), and builds up to adders, arithmetic, addressable memory, and eventually the entire CPU. I once ran workshops that taught programming by having you program a self-sustaining self-replicating colony of robots. It was so much fun that I played it at home, long after the workshops had ended. Sadly, the software for it was proprietary and no longer exists. I've started creating a replica, and will release it open source (like all of my projects!) so it can be around and expanded upon forever. I love learning basic concepts by implementing them yourself. Writing your own webserver and connecting to it with Firefox for the first time is a feeling like no other! I want to see this learning concept extended to the rest of the network stack, and that means making a simulator to save students the headache of inserting code into this layers on real machines. Do you use my hosted projects often, or for a workshop? This is the suggested tip to help me pay for the server costs! All my projects are hosted online to make them more accessible, but servers cost money. Meeting this goal would pay for bandwidth and help my projects stay online indefinitely!